It’s been a bit crazed for the last month, and I must admit that if I never see another roll of bubble wrap, another tape gun, another box…that would be OK with me. It felt like we were packing for months, instead of weeks. But somehow we met the Jan. 20 deadline, and when the big Bekins truck rolled up, everything was ready to go. We left the next day pulling a small U-Haul trailer behind us, and had two dogs in the back seat, and five cats in carriers in the rear of the truck. Our usual two-day drive took three because we had to drive slower, and let me tell you, those nights in Barstow and Tucson at Motel 6 were a bit of a scene with seven animals. Not much sleeping going on. But we made it, we’re here, everyone is settling in, the neighbors are friendly, my computer is hooked up, and … well, damn it, there are still a lot of boxes. Oh, well. At least there’s no deadline on this end. 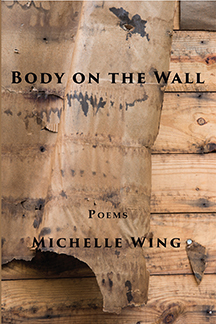 at michelle@michellewing.com ($15 + shipping). Cry of the Nightbird: Writers Against Domestic Violence, a benefit project for YWCA Sonoma County and their work with domestic violence prevention, is available for order at www.ywcasc.org ($15 + shipping). Visit our website at www.cryofthenightbird.com for more information – there’s also a link at the website to place your order. Next Gen Indie Book Awards and National Indie Excellence Awards! 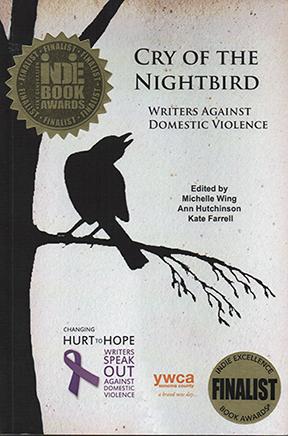 Our anthology, Cry of the Nightbird: Writers Against Domestic Violence, placed as one of two FINALISTS in the National Indie Excellence Awards in the Women’s Issues category, and also as one of four FINALISTS in the 2015 Next Generation Indie Book Awards contest in the same category! My fellow editors (Ann Hutchinson and Kate Farrell) and I are simply over the moon! This is such an honor, to have our book, which is based on writings almost exclusively from Sonoma County authors, gain attention in two national competitions. And it is a testament to the hard work and efforts of everyone involved. Huge thank you to our publisher, Carol Hightshoe of WolfSinger Publications, to Sonja Bauer for designing the artwork on our cover, to YWCA Sonoma County for funding the initial purchases of the books for resale and for hosting an incredible launch party, to my fellow editors, who came forward to help me make this book a reality, and to each and every writer who shared their poems, fiction and personal essays, as well as their energy and time at readings. This is for all of us! 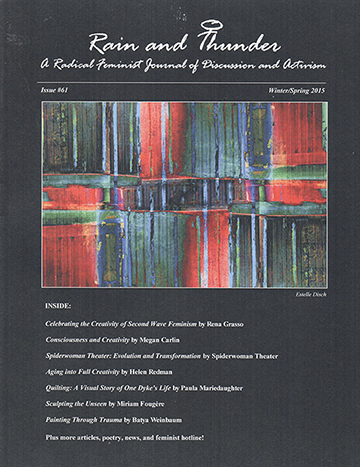 My essay, “The Dress,” was published in the winter/spring issue of Rain and Thunder: A Radical Feminist Journal of Discussion and Activism. It’s a beautiful issue, with the theme of “creativity.” Order your copy to read all the great essays and see the artwork. Pleased to be part of a venture with writers based in Alexandria, Egypt, “Ink Your Pen,” on The Forgotten Writers Foundation’s new website. 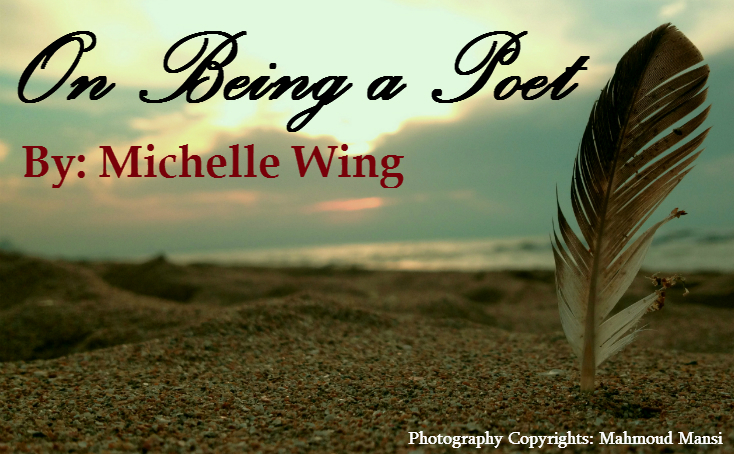 Check out my essay, “On Being a Poet,” here. And more great news! My creative nonfiction essay, “Fist,” has been short-listed in The Forgotten Writers Foundation’s “Motherhood” anthology competition! Writers from over 25 countries submitted work. Stay tuned to hear final results.